Thanks for that wonderful answer to that person wanting to start a newsletter site. I doubt I could ask the grocery store to give me free food because I’m almost blind and on disability. I can’t even sell my electronic music CDs on the strength of my “dazzling personality” so why should that would-be editor want to get free work, and it is work, from people? I agree it’s very important for fledgling writers to be paid for their work. 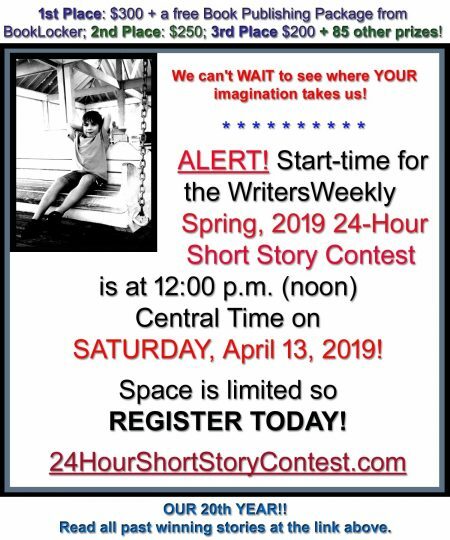 However, the only writers most of these job ads are going to attract at $30 to $50 for 500- to 600-word articles, even if it is in U.S. dollars and the writer is Canadian, are novice writers. When I was first starting out, I would have died for a $30 fee for a 1000-word article because it buys you credibility. But now that I’m freelancing full-time, with no spouse to support me, $30 for a 500-word article is the same as not being paid. My writing is my business and without it, I have no income. 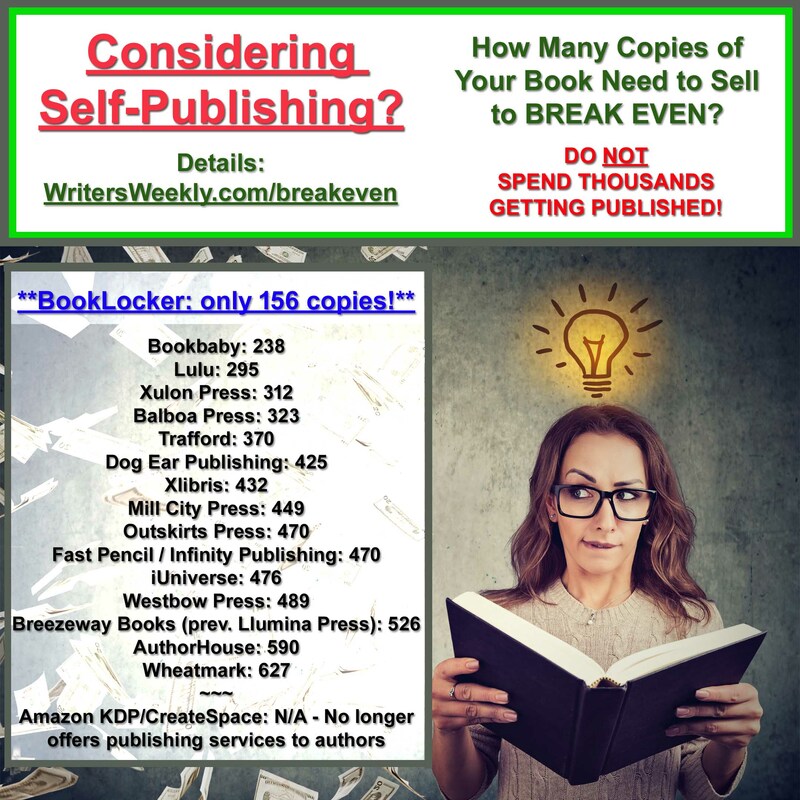 I will write for free when it’s something that markets my business. For example, I penned a couple articles about using books to market your business for the local Chamber of Commerce and the Canadian Association of Professional Speakers. I pick my spots to where it will create more business for me later, targeting the people I want to work with. I also don’t put all my eggs in one basket. In Canada, a writer will starve to death relying on the magazine market. 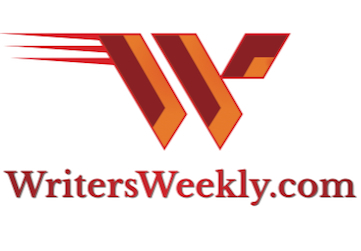 WritersWeekly is a fabulous resource for ideas to look outside the box for more writing opportunities. 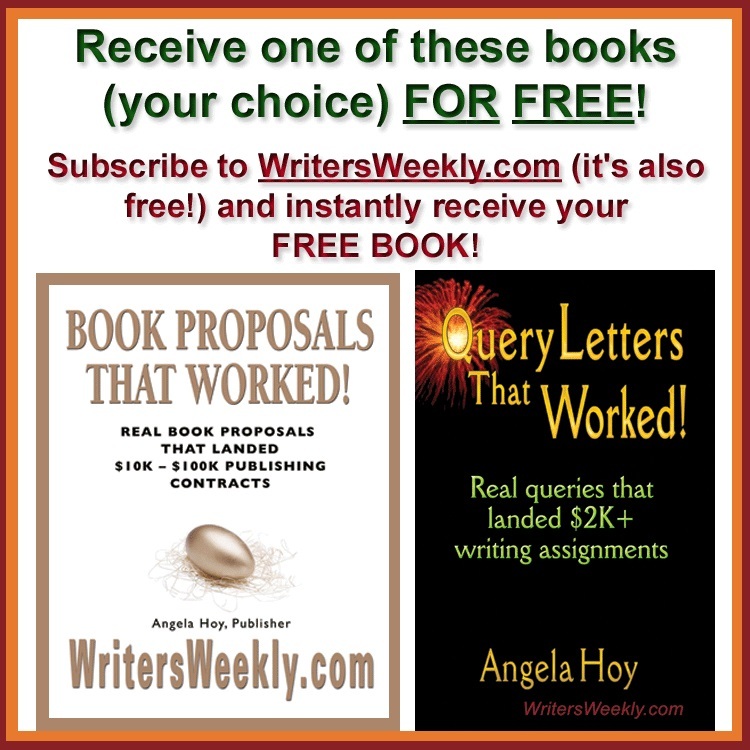 I tell all my clients and workshop participants to click onto the site for ideas and educative articles about the writing business. With proper research and perhaps one or two interviews, it is going to take a minimum of two hours to formulate a 500-word article. With that in mind, low-paying articles are as disrespectful to writers as not being paid.